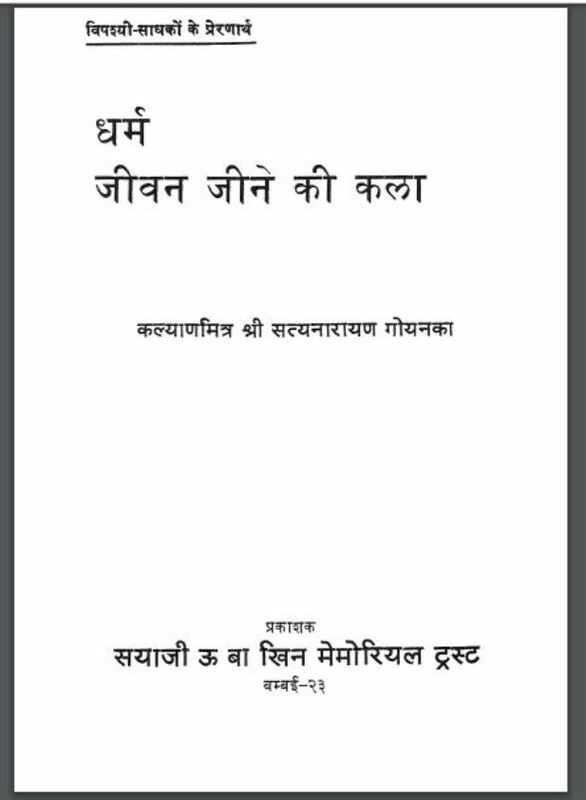 Description about eBook : The demands of writings and writings of ‘Kalyan Mitra’ Pujya Satya Narayanji Goenka were happening repeatedly by seekers and sadhavnar people. Sayaji Oo Khin Memorial Trash is happy to publish her. Goenkaji felt that such a book was necessary too, but it was not possible to select and modify the articles due to meditation camp engagement………….